Big-serving John Isner ends Juan Martin del Potro's 15-match winning streak. 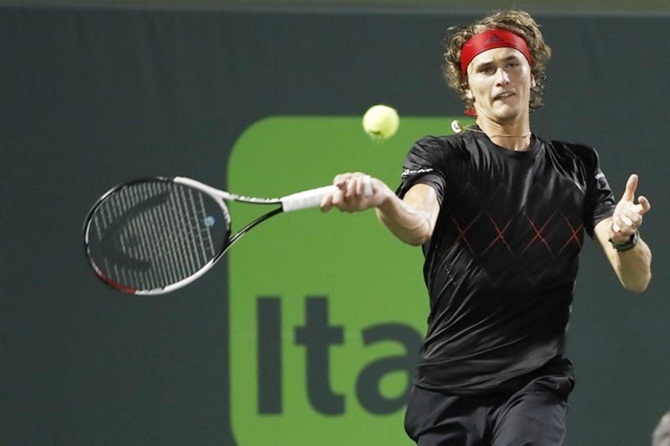 German fourth seed Alexander Zverev beat Spaniard Pablo Carreno Busta 7-6(4), 6-2 on Friday to set up a Miami Open final showdown against big-serving American John Isner, who earlier overwhelmed Juan Martin del Potro. Carreno Busta gave as good as he got in the opening set but Zverev took over the rest of the way, sprinting through a second set in which he dominated on serve and broke his 16th-seeded opponent twice. "I didn't feel I was playing my best in the beginning of the first set, a lot of errors." Zverev said in an on-court interview. "I was down in the tiebreak and I was like, I’m losing anyway I might as well be aggressive. So that’s what I did, I hit a few winners, very fortunate to win the first set and then found my game in the second." In the opening set tiebreak, Zverev sent a crushing backhand winner up the line to earn a set point. And at 6-4, with Carreno Busta serving, Zverev forced his opponent into a forehand error. Zverev used a stinging crosscourt backhand for a break in the third game of the second set and broke his opponent again in the seventh before going on to serve out a match that took 88 minutes at Crandon Park. The 20-year-old German will now set his sights on collecting his seventh career ATP Tour title and third Masters 1000 crown when he faces 14th-seed Isner in Sunday's final. Zverev is 3-0 in head-to-head meetings with Isner, his most recent victory coming in last year's Italian Open semi-final. Earlier, Isner ended Indian Wells champion del Potro's 15-match winning streak with a 6-1, 7-6(2) victory over the fifth-seeded Argentine to reach his first Miami final. ​​Punishing a tired del Potro with his serve and groundstrokes, the lanky American breezed through the first set in 27 minutes after securing an early break. The players held serve in a much-tighter second set until Isner claimed the tiebreak. Isner, who will become the top-ranked American on Monday, brought up match point with a backhand winner down the line and then clinched with a sublime dropshot. 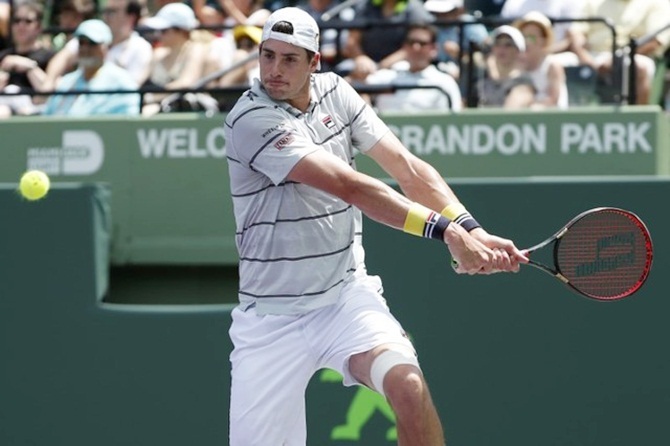 "I've just continued to keep playing better," said Isner, who lost only 11 points on serve in the match. "I think today was even my best match. Very, very encouraging. "Physically, I'm super-fresh and I'm ready to go for the finals."